History and legend and art and romance meet and mingle to create that indefinable sorcery of Venice. It is like nothing on earth except a poets dream. As sumptuous and romantic as Venice itself, our second stop was the exquisite Aman Grande Canal Venice. Set in one of the city’s most illustrious residences, the 16th-century Palazzo Papadopoli, the grand baroque building exudes the style and elegance of a bygone era. Our entrance was like something from a Flemming novel; carving our way along the Grand Canal as the sun cast a warm morning glow across the pastel buildings that line it — we admired the architecture and history, in complete awe of this spectacular floating city. 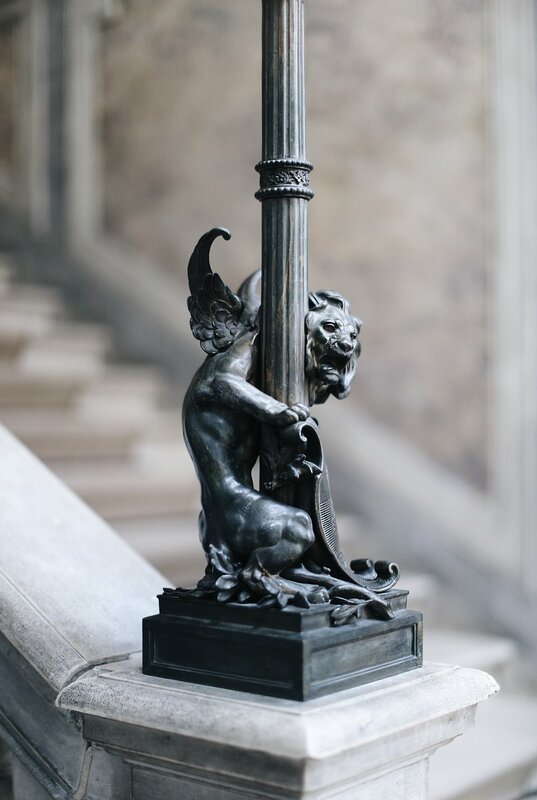 The Palazzo stands tall and proud; imposing yet welcoming, a majestic building steeped in history and one of only eight Palazzo Monumentali left in Venice. There is a warm familiarity one experiences when entering an Aman property, each is definitively unique, yet there is a common thread: unparalleled luxury and unrivalled service from the moment you arrive, you feel instantly at home. Gian Giacomo de Grigi was commissioned in the 16th-century to build the Palazzo for the Coccina family of Bergamao, who later sold it on to the wealthy Venetian merchants, the Papadopoli family. The magnificent entrance hall greets you with soaring ceilings and Neo-Renaissance decor, which has been lovingly restored to its former opulence. The grand space is lowly lit with the warm glow of flickering candles and like most Aman spaces, there is no reception in sight: instead you are welcomed to your new home with a refreshing drink and whisked straight off to your suite to relax and unwind after a long day of travels. From the entrance hall, a grand staircase takes you up to the first floor of the Palazzo and into the majestic ballroom and dining room. 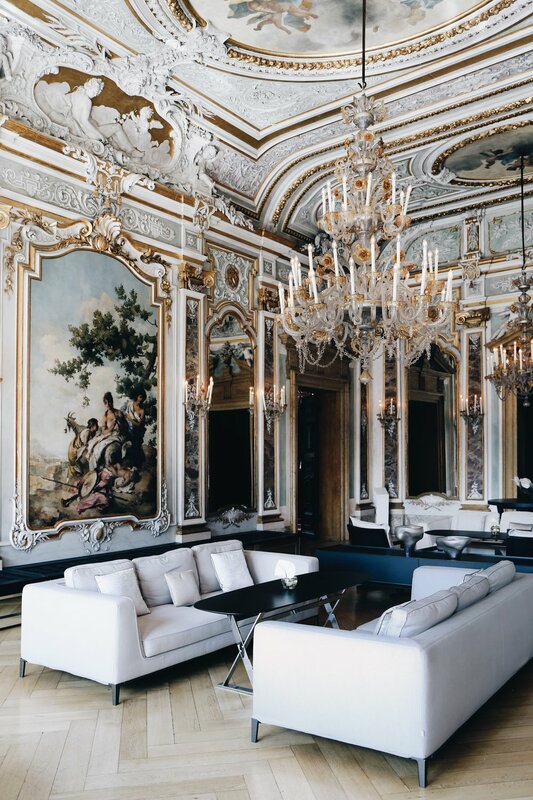 Words simply cannot do this room justice; it is absolutely breathtaking.The ballroom houses enchanting original frescoes by Giovanni Battista Tiepolo, contemporary furnishings and boasts sweeping views out over the Canal. Opening out from the ballroom are numerous dining rooms and hidden library snugs, each with its own unique features: frescoes, high ceilings, wood paneling, fireplaces and bars. It feels more like a home than a hotel, the home of a billionaire friend who has given you the run of his Palazzo in his absence. Back downstairs the private gardens are immaculate and serene. There is a wonderful juxtaposition about staying with Aman in Venice; set amidst the noisy and chaotic city, it feels completely private, secluded, and calm, a welcome escape from the frantic world outside. There are plenty of places in the Palazzo to disappear and capture the perfect silence, and yet a short walk through the garden pathway leads you to the bustling back streets, where you’re suddenly lost amongst the noise and chaos of tourists, locals and off-duty gondoliers. A rarity in Venice, we found this peaceful space to be the perfect spot to sit and plan out the day ahead over a coffee and a delicious breakfast. No stale buffets here, the food is fresh and made to order. Our evening spent dining at Arva, Aman’s restaurant set in the great ballroom, was by far our favourite meal in Venice. Paying tribute to Italy’s rich culinary heritage, Arva is a new dining concept conceived by Executive Chefs Stefano Artosin and Andrea Torre, combining contemporary cooking techniques with seasonal locally sourced ingredients to create true culinary works of art. We began our dining experience with fassona beef carpaccio, with Parmigiano Reggiano and summer truffle and sea bream carpaccio with bottarga and pink pepper. For our first course we shared fusilli, beef ragout and crispy celery and handmade maccheroncini with courgettes and Provolone cheese followed by possibly the best aged beef fillet we have ever eaten… in our lives. Both the food and ambience were exceptional, truly exquisite, thank you Aman for an evening and memories we will continue to cherish forever.